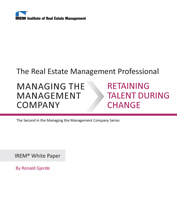 IREM Managing the Management Company Digital Publications will help you expand your skill set and provide resources for every step of your career development. No matter your level of experience and expertise. 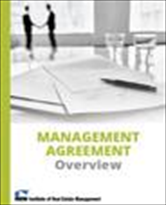 The management agreement is a legally binding contract between you and your clients. It’s important to get it right. The relationship with a Commercial Association is different from other commercial properties and the management agreement should reflect that. Use this sample Commercial Association Management Agreement as a template when developing your management agreements. The sample agreement (in Microsoft Word format) can be customized to meet the needs of your company and its clients. 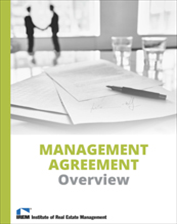 The accompanying Commercial Association Management Agreement Overview provides insights into the contents of the agreement as well as what to consider when it comes to compensation, risk reduction, operational issues, and negotiating the agreement. Purchase the complete package to get all six sample agreements for the price of five - savings of over 15%. The management agreement is a legally binding contract between you and your clients. It’s important to get it right. 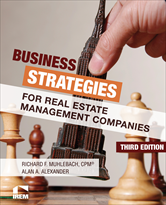 Use this sample Commercial Property Management Agreement as a template when developing your management agreements. The sample agreement (in Microsoft Word format) can be customized to meet the needs of your company and its clients. 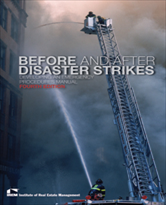 The accompanying Management Agreement Overview provides insights into the contents of the agreement as well as what to consider when it comes to compensation, risk reduction, operational issues, and negotiating the agreement. The management agreement is a legally binding contract between you and your clients. It’s important to get it right. The relationship with a Condominium and Homeowners’ Association is different from other residential properties and the management agreement should reflect that. Use this sample Condominium and Homeowners’ Association Management Agreement as a template when developing your management agreements. The sample agreement (in Microsoft Word format) can be customized to meet the needs of your company and its clients. 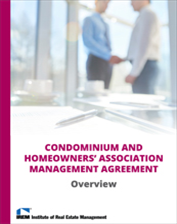 The accompanying Condominium and Homeowners’ Association Management Agreement Overview provides insights into the contents of the agreement as well as what to consider when it comes to compensation, risk reduction, operational issues, and negotiating the agreement. 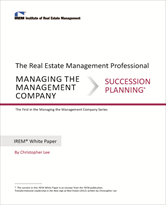 The management agreement is a legally binding contract between you and your clients. It’s important to get it right. When working with LIHTC properties, it is important to ensure that the contract meets state requirements and the needs of you and your clients. 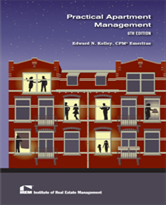 Use this sample LIHTC Properties Management Agreement as a template when developing your management agreements. The sample agreement (in Microsoft Word format) can be customized to meet the needs of your company and its clients.